A polyjog is a plane figure formed by joining equal squares along half edges. Derrick Schneider uses the four trijogs in his puzzle Square Dance. Here I show all the polyjogs of orders 1 through 5. 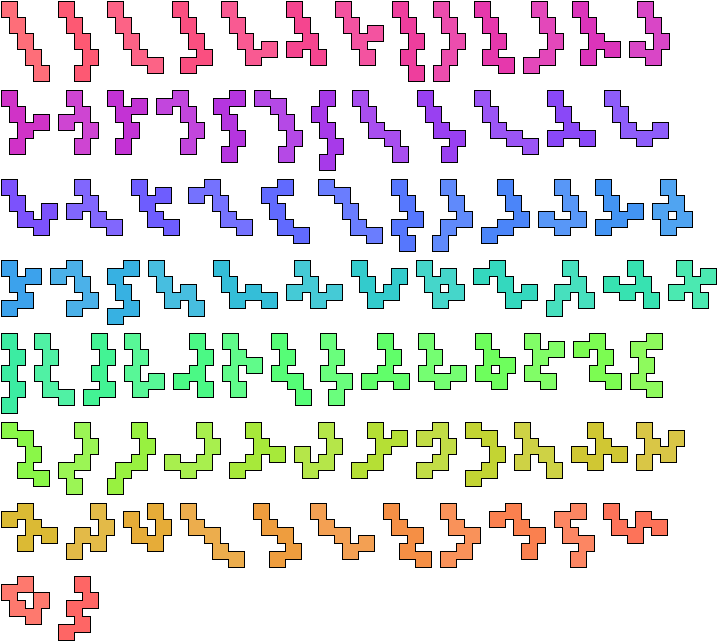 Free polyjogs may be reflected as well as rotated. One-sided polyjogs may be rotated but not reflected.